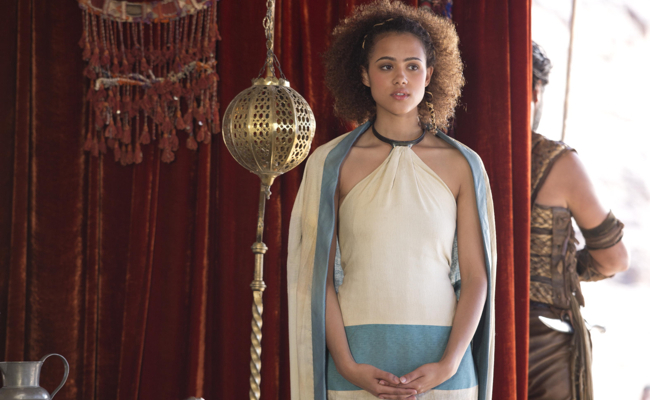 Missandei (Nathalie Emmanuel) was enslaved as a young girl and trained as a translator who's skilled at speaking 19 different languages. 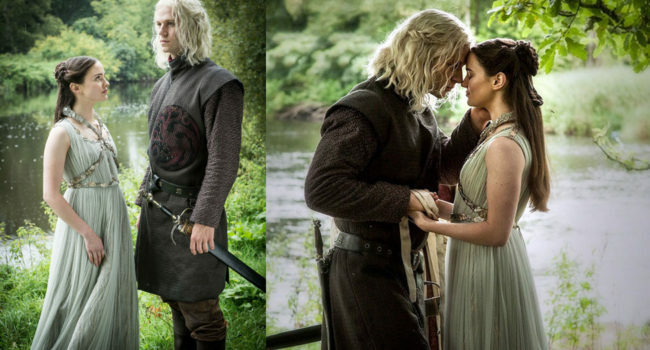 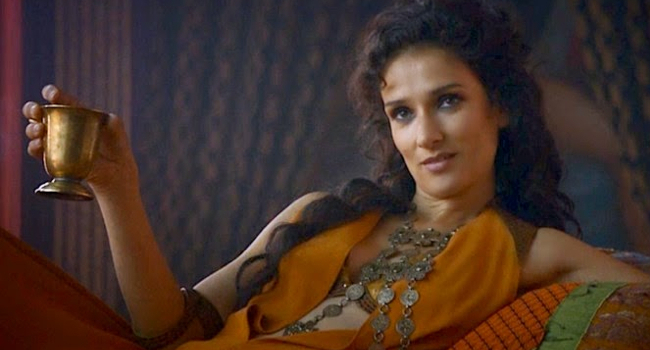 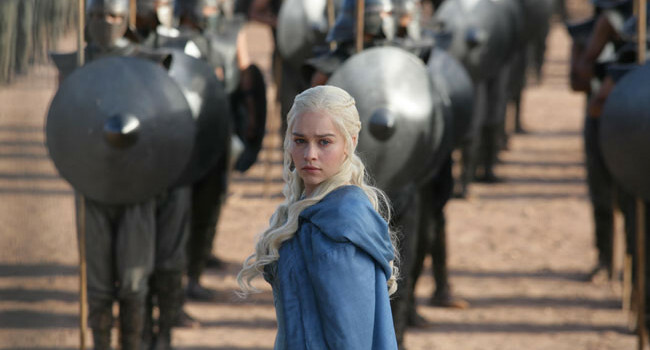 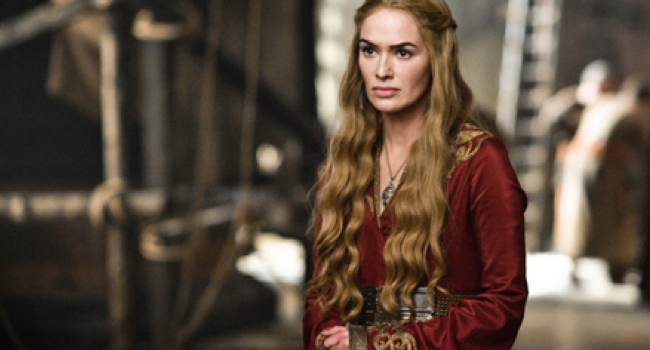 She is freed by Daenerys Targaryen and later serves as her trusted handmaiden. 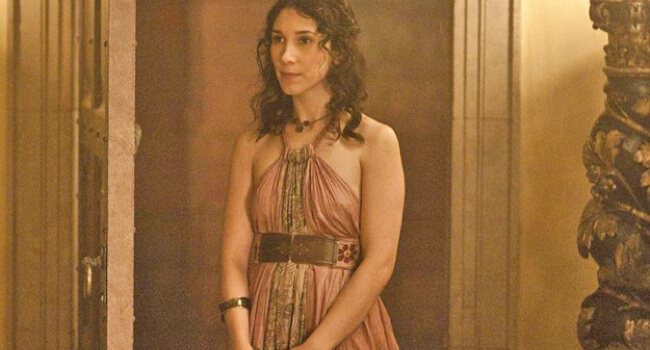 In Game of Thrones, Melisandre of Asshai is a mysterious priestess who becomes the trusted advisor to Stannis Baratheon. 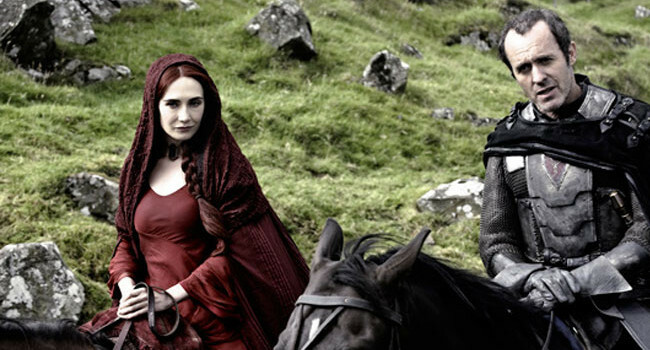 When Stannis’s younger brother Renly rebels against him, Melisandre births a killer shadow monster baby to take him out.